Miche Lamé | Enjoy the life of spiritual living! Stop Smoking, Release Anxiety, Improve Relationships and More! Feeling lost? Miche will help by removing unnecessary troubles and heavy burdens with proven techniques, like hypnotherapy, in order to harness the true power of your mind. 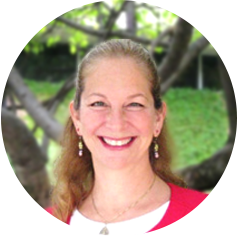 As an Emotional Health Practitioner, Miche is highly equipped and trained to perform a multitude of therapies to help get to the root of your emotional distress. Together, you and Miche will work towards reducing stress and internal pain. You will accomplish this by promoting healing at a deeper level with Miche’s non-invasive techniques. Are anxiety, stress and depression limiting your happiness? Are you feeling alone or having relationship troubles? Maybe you suffer from emotional or spiritual pain? Are you ready to release old behaviors, thoughts and fears so you can experience life’s joys to the fullest? Have you experienced past trauma you need to release? Do you have OCD patterns you would like to let go of? Wondering if you have manic depression? I can help you! It takes a great amount of courage to ask for help when life doesn’t seem to be working for you. It is time to take action and make a positive change in your life. My intention is to guide you to freeing yourself from the limited patterns, habits and beliefs, which keep you stuck. Let me help you find true, lasting happiness and joy within yourself. Learn holistic and easy strategies and skills for positive changes — self-acceptance, improved relationships, way to cope with stress, and how to release anxiety and depression. Use hypnosis for difficulties losing weight, lower anxiety, quit smoking, regression and releasing OCD patterns. Resolve PTSD issues. Gain a deep understanding and connection with not just your mind, but your heart as well. You can transform your limiting beliefs, negative scripts, and relationships. Discover your own inner knowing and power, increasing self-esteem and taking steps towards self-actualization and well-being, feel empowered, confident, and connected with your true Self. I have created a safe and comfortable environment for self-growth where together we are partners identifying, exploring and releasing old limiting beliefs and patterns of thinking that do not serve you. Allow me to help you define and explore your hopes and dreams, connect with your heart as your guide, and own your unrealized power from within you.